Are you ready for another fun sketch challenge? This week I paired the Wavy Coloring Book Background with the Kind Words stamp set. 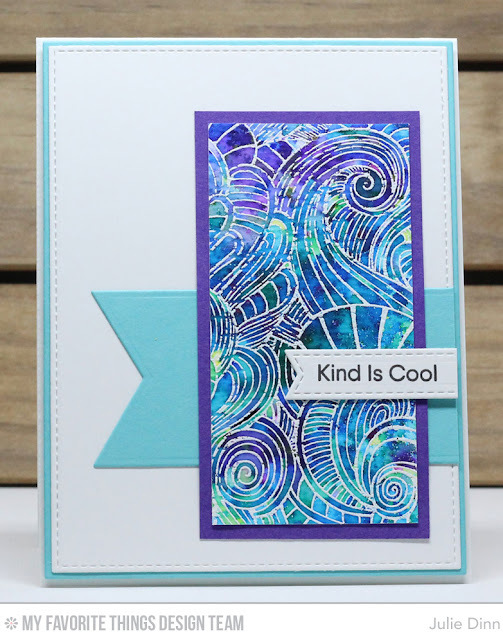 To create the cool background I used with the Color Burst in blues, greens, and purples. The sentiment is stamped on one of the fabulous Stitched Sentiment Strips.